#1 New York Times bestselling author Victoria Kann is back with a new I Can Read story featuring Pinkalicious! Pinkalicious gets to be Principal for a Day because she has perfect attendance! Pinkalicious can't wait to be in charge, but when she wakes up sick on the big day, will her dreams of being Principal Pinkalicious be—ACHOO!—blown away? 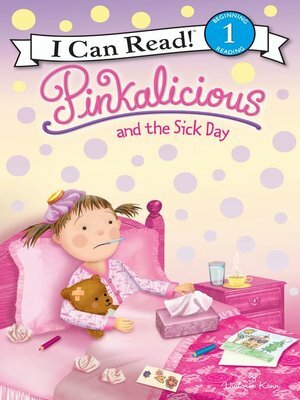 Beginning readers will love seeing how Pinkalicious turns a sick day into a special day in this I Can Read adventure!